You are here: Home / Save Money / You’re a loyal customer, but at what cost to you? You’re a loyal customer, but at what cost to you? 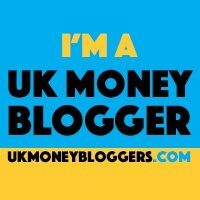 I’m a regular user of comparison sites and believe that a lot more of us should be using them, they give us choice over the services that we regularly buy, whether that is insurance, utilities, or breakdown cover. With a bit of research we have the potential to save ourselves hundreds if not thousands with the click of a button. Ideally we would all like to think that our loyalty would pay off and whoever we were with would do everything within their power to keep us, which would include ensuring that we were on the best tariff or at the very every least give us offers or benefits not necessarily given to new customers. Even as a loyal customer just because the company we were with were offering the best deal that they had, wouldn’t necessarily mean that it was the best deal on the market. So comparison sites are probably always going to be necessary. Why is so much effort spent acquiring new customers? It would be easy for me to sit here tapping away on my keyboard and question a businesses motives but at the end of the day they are just that a business. It’s very existence is to make a profit. I won’t pretend to be an expert in customer acquisition and retention. But let us take look at the costs of acquiring a new customer. You aren’t going to get any new customers if you aren’t going to put your hand in your pocket to acquire them. This will probably include TV and radio slots, an online campaign and a social media campaign. I’d like to think that a business isn’t going to be offering something new to its customers without making sure that there is a demand for it, this will probably involve some find of focus group research, which in turn might involve the hiring of a market research firm. If you’re good at sales you are going to be paid well and there’s reason for this, sales isn’t easy and to keep the best a business is going to have to make sure that they reward their sales teams competitively. Resting on your laurels just because you’ve gained a new customer shouldn’t be an option. Any new acquisition will no doubt have to be followed up on to make sure that they are getting the service that they were expecting and were sold. We quite rightly question businesses that seem to focus more on the acquisition of new customers over keeping existing customers, but I’d be hypocritical if I wagged my finger in complete disapproval. A business is more likely to be able to sell to a new customer than they are an existing customer, there have been countless times that I have declined the sales call of a business that I’m with and as someone with a stocks and shares ISA I want it to be making me money, which it will only do if businesses are making money. I’ve been a sky customer for a while on what was their variety package. The thing is that they stopped doing this package earlier this year, I can only speak for myself but I don’t recall ever seeing anything from them about this change and as a result was continuing to pay for the old package. They might have notified me via my online bill, but how many of us actually view our bills when we pay by Direct Debit. So how can we make sure that we get the best deal from our current provider? This seems obvious but if you don’t ask you won’t get. You might have to pick up the phone to them and this very in itself can be daunting to many. Negotiation doesn’t come naturally and in your head you might be juggling with a number of scenarios where you always come out the loser. What if i come across as a blithering idiot and just accept the first thing that they offer me. However you see it haggling is just negotiation with another name. In order words a discussion between the parties to come to an agreement. We’ve probably all watched the apprentice at some point and thought that we could do a better job at negotiation, here’s your chance to prove it to yourself. what are their competitors offering? Don’t base your decision purely on costs, what is their customer service like, look for reviews. Build your courage and just get on with it, the more time that you spend thinking about it the worse the idea of picking up the phone is actually going to get. Who wants to help anyone that isn’t polite? The person at the other end is only doing their job. They probably have targets and are also answerable to their management team. You’re speaking to another human being, built rapport and even if you aren’t getting what you want remember to always stay polite, nothing is going to be achieved by losing your temper. Just because you’ve job the deal that you want, don’t show all your cards and ask for a little extra, what is the worst that could happen they say no. So what you’ve hopefully already agreed the deal you wanted. If you’ve done your research already you will know that there is going to be a company out there that might be offering you that little more, so if you aren’t getting anywhere with your negotiation walk away and use sign up with that other company. Joint bank accounts. Do we really need them?